Home > PHOTOS > NIGERIA: An Infant At 58. The Problem And The Solution. NIGERIA: An Infant At 58. The Problem And The Solution. I sighed in frustration as the words of the newscaster faded away from my attention. “What exactly is the problem of this country?” I asked myself. “Why are we always getting it wrong? Why have we struggled with the same old problems that have plagued us since the inception of this nation? Why have we always been ruled (Military) and led (Democratic) by people that evidently don’t care about us? Why is the present state of Nigeria so appalling that virtually all sectors that are of economical, infrastructural, educational and developmental benefits to the citizens are either destroyed or on the verge of collapse?” I pondered upon all these and discovered that the answer wasn’t elusive. Yes! I found the answer! You want to know? Then let’s go on a journey of discovery. A trip down memory lane tells that Nigeria officially came about in 1914 in the colonial era of the British Government under the leadership of Lord Frederick Lugard when the Northern and Southern provinces and the Lagos colony were brought together. I believe it was a dangerous venture to bring together several ethnic groups – that had history of several intra ethnic clashes – together, but it happened and here we are. We were acquiesced to live together probably because we couldn’t afford the consequences of rebellion or we were satisfied with the gratification granted us then and hopeful for a lot more in the future. From the political perspective, we have never been a nation, we have never been united, we have never been NIGERIA. It has always been “I’m YORUBA”, “I’m IGBO”, “I’m HAUSA” or “I’m a CHRISTIAN”, “I’m a MUSLIM” “we’re from the SOUTHERN part”, “we’re from the NOTHERN part”. We’ve never genuinely and truly had a sense of purpose as a nation, as NIGERIA. This explains why a particular candidate will get a lot of votes from a particular group of the country because they share the same region, tribe, religion etc. And a conscientious look at the political leadership of the country since its inception shows that the baton hasn’t left a specific circle. That’s why we have a lot of oldies in power who surprisingly don’t want to leave. So are these the problems? Are greed for power and disunity the reasons Nigeria is this way? Of course they are but just a spin-off of the major issue. The major issue with Nigeria, the reason why Nigeria is the way it is, is YOU! Yes! YOU! Are you surprised? Oh! You expect me to blame our leaders, the system or even corruption? That’s not the problem Sir/Ma, the problem is YOU, ME, ALL OF US. Perhaps you’re right. Maybe our leaders are the major problem. At least if the head is in good shape, it can take care of most part of the body. But haven’t you wondered why we suffered under the various military leaders we had and why we have always seemingly elected the wrong people? Then something must definitely be wrong with us if the people we choose to represent us always end up disappointing us. If you claim that the leaders are our problem – which I partially agree with, I’ll ask you if foreigners are our leaders. You say that our leaders’ greed is the problem, the spirit of greed probably entered them the first day they assumed office. Oh! I forgot! The system encourages lawlessness and corruption. But who made the system? The system wasn’t there before us, we were there before the system so we MADE the system. Though the system is bad, we actually don’t want a better system because if we do, we would have made one. So, it still comes down to US, to YOU and ME as individuals. In recent times, Nigerians have found a new factor to lay the blames on: CORRUPTION. We claim that our leaders are corrupt, that they embezzle money meant for national development which is actually true but I believe majority of us (citizens) aren’t any different. In fact, corruption has become so ingrained in us that we no longer see it as such. We’ve limited the meaning of corruption to money embezzlement by our politicians. This delusion elucidates why Mr. X who defrauded his boss at work millions of naira will feel no pang of guilt when he rants about our ‘corrupt’ leaders. Now you’re protesting - “I know I’m not corrupt even if others are, I…...” – Ok, fine, I agree with you but unfortunately majority of us are. Or how can you explain why these politicians, despite their evident selfish interest get a lot of support from the citizens. The answer is simply because we are cut from the same cloth. Consequently, the problem isn’t CORRUPTION per se but fundamentally US. So, what’s the solution? Well, it’s still YOU. As seemingly insurmountable as Nigeria problem is, it has a simple solution. You don’t believe me? Ok. I tell you that the first step to long-lasting change in this country is to accept we’re the problem and STOP being the problem. Maybe you think that ‘one day one day’ we will elect a messiah as the president and he/she will magically turn everything around. Please wake up! Or you think we will go into very fervent prayers in unity and God will come down and help us transform Nigeria. Please don’t get me wrong, I believe in God and prayers and I know we presently would have been in an unimaginably terrible condition without God but He won’t do everything for us. I believe God won’t transform Nigeria now and we alter it the next minute with self-inflicting damage. So, if we are going to offer any prayers presently, it should be a transformation of US. Personally, I get scared anytime I think of the future because the way the country is presently, there is no future! I am sorry if that sounds pessimistic but that’s the bitter truth. Blind hope won’t make things better, it’s even one of the reasons we are here now. In my country presently, the primary concern of most of us is 2019 elections, how to get our PVC, how to vote out the President. Though all these are good because we are trying to be more active in our democracy but haven’t we been doing all these since the inception of democracy in this nation? Even if we vote out the president today, we are most probably going to replace him with one of those oldies that don’t want to leave power and the cycle continues. Presently, nobody is talking about science, education, unemployment, the poor states of all our educational institutions, the fact that there are almost no manufacturing industries still in existence, the fact that workers have been clamoring for increase in minimum wage and it seems like the incessant strikes will have no end. To say tersely, there is no future! If you’re a young person reading this now, please think about this. If Nigeria is like this now, in 10 – 20 years how will it be? Oh! You would have left the country by then, right? The truth is that very few will be able to leave this country. 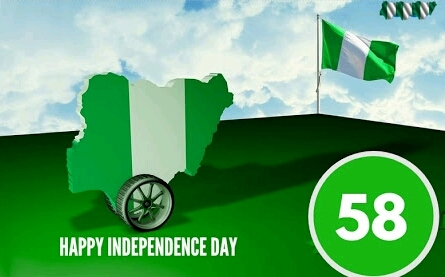 Even though the older ones delivered an almost marred Nigeria to us, we shouldn’t continue in that bad legacy, we should join hands and re-shape our future. The future is OURS!